If you’re a fan of the rock musical Rock of Ages, and you’re into the melodic rock of classic 1980s bands like Journey, Asia and Survivor, you’ll love this new album, Sleepless Nights, by Caffrey Morrison Thompson – a highly experienced three-piece band from the North East of England. Sleepless Nights features a superb collection of 15 pop-rock and melodic blues-driven tracks. The songs provide an excellent vehicle for the band’s soulful vocals which also carry strong echoes of Paul Carrack, Paul Rodgers and Free. Caffrey Morrison Thompson comprises singer-songwriters Phil Caffrey and Tommy Morrison, and songwriter-producer Steve Thompson. Phil Caffrey was a member of 1970s band Arbre who were signed to DJM Records alongside Elton John. Phil’s distinctive Paul Rodgers-sounding voice has been much in demand for many years, including backing vocals on a Saxon album and Jimmy Nail’s 1994 hit ‘Crocodile Shoes’. As a solo artist, Tommy Morrison’s first album, titled Place Your Bets, was co-produced by Paul Rodgers of Free and Bad Company. Tommy’s second album, Cry To The Sky, was produced by Ed Stasium who is best-known for his work with The Ramones, Talking Heads and The Smithereens. Steve Thompson has written songs for international stars such as Celine Dion, Sara Brightman, Sheena Easton, Elaine Page and Elkie Brooks. He has also enjoyed chart success with his songs ‘Hurry Home’ by Wavelength, ‘I Don’t Want To Be The One’ by The Searchers, and The Tygers Of Pan Tang’s ‘Paris By Air’. He was at the heart of the New Wave of British Heavy Metal (NWOBHM) in the late 1970s and early 1980s, producing bands such as The Tygers of Pan Tang, Venom and Raven. Sleepless Nights includes versions of two Steve Thompson songs which were recorded by Elkie Brooks – the hit single ‘The Last Teardrop’, and ‘One of A Kind’ which was featured on her album Close To The Edge. Caffrey Morrison Thompson’s Sleepless Nights album can be downloaded at www.sleeplessnights.org.uk. It is also possible to purchase individual tracks. Two previously unheard Queen tracks featuring vocals by Freddie Mercury and Michael Jackson are set to be released next year, it has been revealed. 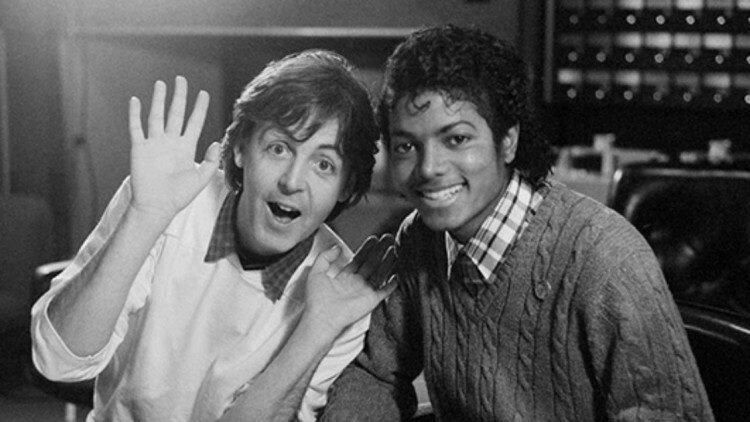 The tracks are understood to have been recorded at Michael Jackson’s home studio in the 1980s after he and Freddie became friends. The recordings have reportedly been approved for release by the Jackson estate and will appear under the Queen name. Supermodels Naomi Campbell, Cindy Crawford, Helena Christensen, Eva Herzigova and Yasmin Le Bon play members of Duran Duran in a new nine-minute promotional video for the song ‘Girl Panic!’ from the band’s latest album, All We Need Now. Cindy Crawford plays the part of bassist John Taylor, Helena Christensen sits in for drummer Roger Taylor, Eva Herzigova is Nick Rhodes, Simon Le Bon’s wife Yasmin plays a guitarist, and Naomi Campbell is upfront as lead singer Le Bon. They are seen playing instruments and wearing the band’s trademark suits. The real members of Duran Duran have cameo roles as bellhops, waiters, chauffeurs and paparazzi. Madness singer Suggs, aka Graham McPherson, has announced he is working on a memoir of his life and his 35-year career in music. The as-yet-untitled autobiography is due to be published by Quercus in autumn 2012. “I hope it will amuse, entertain and be a bestseller in 2012,” said Suggs, who plans to reveal all about his 30 years of Madness. Meanwhile, a new Madness box set, titled A Guided Tour Of Madness, is now available from Union Square Music. It features 70 classic singles, tracks from all of the band’s albums, and a DVD of their legendary reunion at Madstock ’92. Titled SH-BOOM! after the 1950s doo-wop hit, the new oldies magazine is FREE and will focus on music and stars from the Fifties to the Eighties. You’re reading the Sh-Boom! blog, but a sample of the new magazine can be read at www.sh-boommagazine.com. As well as being the UK’s first-ever music magazine created for lovers of Fifties, Sixties, Seventies and Eighties music, SH-BOOM! is also different because it’s an interactive digital magazine. It looks like a printed magazine but it is read on your computer. As an interactive magazine, SH-BOOM! aims to help readers keep up to date with their favourite artists in a fun and involving way. Stories are brought to life by animation, music videos, music tracks and video interviews. The London-based publisher, Sh-Boom Media Limited, decided to launch the magazine in a digital format because of baby boomers’ increasing appetite for the internet, and their growing interest in digital reading. Oldies music fans simply have to register at the digital magazine’s website (www.sh-boommagazine.com) in order to receive free copies by email. Readers can also join a free online music community for lovers of the music and artists of the late-1950s, 1960s, 1970s and 1980s. Find out more at www.sh-boommagazine.com. You are currently browsing the archives for the Eighties category.